The United States' 911 service is in its 50th year, and has saved countless lives over the last half-century. AppleInsider digs deeper into Monday's reveal that iPhones on iOS 12 will provide a wealth of data allowing emergency services to respond much faster after a 911 call. 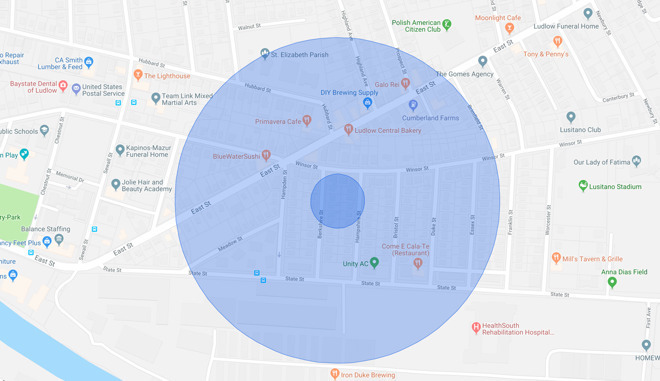 While the diffuse and mobile cell phone network is part of the problem, it can be part of the solution for precise location information, when properly utilized. Apple and RapidSOS have a solution for the sometimes imprecise pinpointing of a caller, and it was announced early Monday morning. The 911 service generally works well for a system that was conceived and executed in the '60s. But, like any older technology, it needs a little work to come up to more modern standards. When a user on a mobile call places a 911 call, the first stop is the wireless carrier. The wireless company routes the voice information to a 911 center, and the cell tower address to a local location database which may not be up to date. While the operator is on the call, what the center has for information on that particular tower is passed to the operator, and then passed to the emergency responders. At some point in the process, the user's data is passed back to the carrier for a more precise location, and the specific location of the phone is queried. This process takes time, and sometimes necessitates an on-the-fly update by the 911 center to the emergency responders, in data packets smaller than the first international telegram. And, at present, it can be off by more than 50 to 300 meters depending on which location technology is used, which can be a problem involving a dense neighborhood, a wilderness rescue, or any other situation where the emergency isn't heralded by a burning vehicle or something else obvious. On the following map, the darker blue circle is 50 meters, and still encompasses about 20 houses. The larger 300 meter radius circle encompasses hundreds. Aware of the problems, the Federal Communications Commission has a link textseries of guidelines for citizenry, suggesting that the first words out of a 911 caller's mouth should be a specific location of the crisis. Additionally, the FCC has mandated that by 2021, wireless carriers must provide location information within 50 meters 80 percent of the time. By 2023, this information must include vertical location information so emergency services can tell what floor a caller is on. "It's really low-tech systems that have been the mainstay of emergency location for centuries," said International Association of Fire Chiefs' communications committee chief Gary McCarraher when the rules were announced. "For every passing second [in an emergency], we push up the numbers of deaths, injuries and dollar loss to the public." With the new technology, the 911 call is sent through the RapidSOS clearing house. At the same time that the voice call is being routed through the 911 center, what the company calls a "hybridized emergency location" is being sent in real-time to the 911 center, including constant position updates in the case of a kidnapping or other moving emergency scene. There is no pass back to the carrier, and no polling of other databases to find out where the user is. Many steps are removed from the process, cutting back not only on time to get the location information, but also taking possibilities of error out of the equation. All of the information is encrypted while in motion from the caller's iPhone to the clearing house. RapidSOS says that its technology delivers more accurate data to 911 dispatchers with faster location detection, both indoors and outdoors from all different sensors on modern devices, including not just GPS, but nearby WiFi Access Points, cell towers, Bluetooth beacons, and info from the user's barometric pressure sensors —all through the 911 infrastructure. The data provided by RapidSOS is free to public safety. And, it can be provided directly to first-responders headed to a scene in the case of that mobile emergency discussed earlier. Advanced Mobile Location, or AML, is a different solution, using existing infrastructure. In the case of an emergency services call in in Austria, Estonia, Lithuania, Belgium, Iceland, Finland, Ireland, and New Zealand, the phone will automatically turn on mobile data, connects to a network time protocol server and sends an unencrypted SMS message to the emergency service. 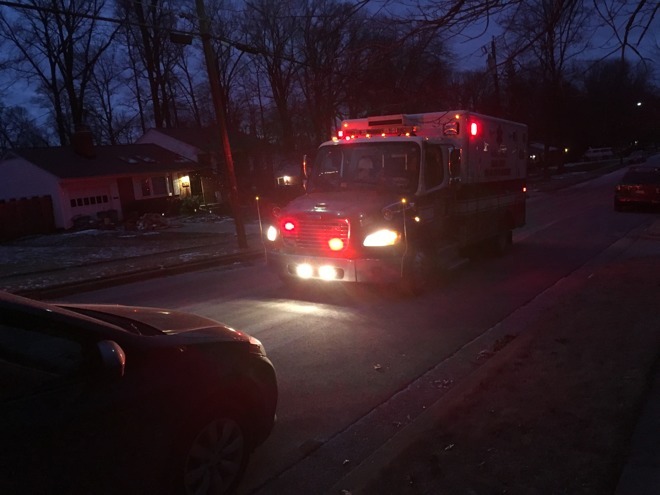 While this is clearly far better than no location assistance, it is subject to the same inaccuracies as the current 911 service in the US —but in practice is a bit faster. An iPhone running iOS 11 already sends AML data in countries that support the protocol. As with any other technology, there are many vendors providing 911 software and hardware. The RapidSOS technology that will be baked into iOS 12 "later this year" is compatible with a host of leading 911 call center solution providers with what RapidSOS calls a "simple upgrade" to software. As far as the user goes, there is no action required other than upgrading to iOS 12. The feature is on by default, but the user can turn it off, if so desired. But, frankly, we're not sure why you'd want to, as it broadcasts no data unless the user has actively made a 911 call. At present, the feature has only been announced for iOS 12. It appears that at least for now, users of the Apple Watch Series 3 with LTE are out of luck. RapidSOS and Apple told AppleInsider that the solution to be rolled out later in the year exceeds the 2021 requirements, more than two years early.